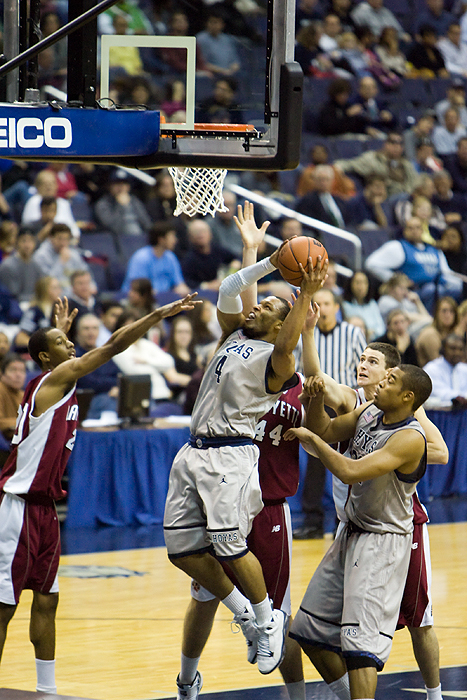 Upon my post Thanksgiving return to DC, I photographed the Georgetown Hoyas beating up on my alma mater's Patriot League foe, the Lafayette Leopards. Austin Freeman, Chris Wright, Greg Monroe, Jason Clark and Julian Vaughn are all back this season seeking redemption for their previous disappointing campaign ending with 16-13 record. They've jumped out to a 4-0 start this season after a 97-64 win over Lafayette in which the crowd wanted badly to see triple digits on the scoreboard. So far so good. Mt. St. Mary's is next. Shout out to new uniforms, the Hoyas have them every year. I just wish there were a shoutout to me in the description, but no big deal. 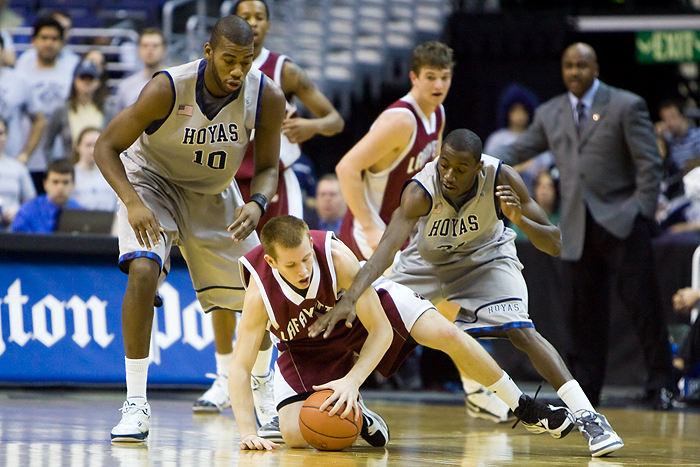 Those Lafayette guys look a little silly playing against Georgetown, but damn, I'm impressed by the new Nikes.